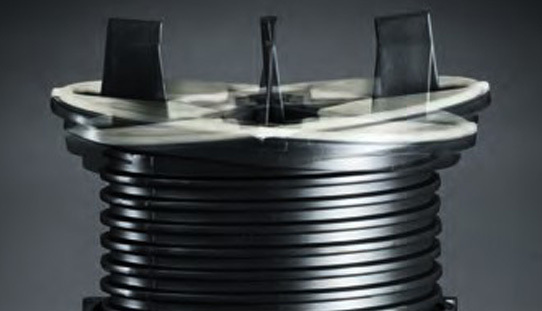 Time saving, trouble free, easy to install solutions for rooftop decks & roof terraces. 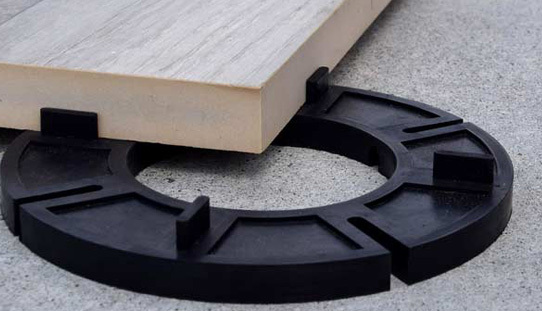 Conquer slope easily with Eterno self leveling deck supports for rooftop decks & elevated paving. The quickest, easiest and best way to lay pavers over existing concrete. In a world of infinite design options, choosing your decking support should be an easy one. 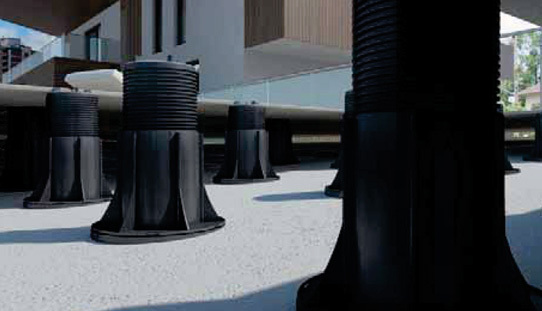 With adjustable height pedestals, stackable rubber support pads, self extinguishing pedestals & installation accessories, Archatrak has all you need for any pedestal support project. 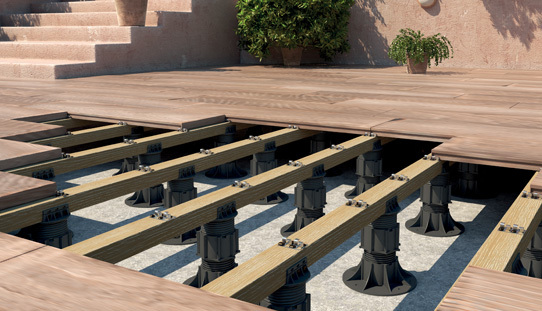 Screw-to-adjust decking supports with time saving automatic slope compensation that guarantee perfectly level decking surfaces. Easily build stunning decks over flat roofs, cracked concrete patios, terraces, around swimming pools and much more. Decking supports that define strength and reliability. With outstanding load capacity, wide base, central column and wide fixed head with twist-to-adjust slope compensation, Eterno Maxi deck pedestals support the heaviest of pavers on roof deck systems with elevations beyond 36". Designed for laying pavers at the very lowest elevations as a 'floating' deck, stackable paver supports with inbuilt spacer tabs enable quick and easy installation over existing concrete at ground level or rooftop decks. All rubber composition provides superior sound and shock absorption. Construct a traditional wood plank deck with less work and lower cost on rooftop decks, plazas, terraces and garage roofs. No expensive or complex substructure of steel beams or other crisscrossing bearers required with pedestal supported roof deck systems. Simply screw wood bearers to pedestal supports.